Two days in the mineral, lunar atmosphere of the Piton de la Fournaise, to observe and get an understanding of the eruptive phenomena of one of the most active volcanoes of the planet (more than 30 eruptions since 1998). 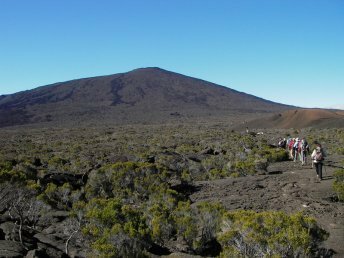 D1 – A day to explore the Piton de la Fournaise, approaching recent eruptions, volcanic pitons, lava flows. Ascent towards the largest crater at the top of the volcano, to get a point of view on the major collapse that happened in 2007. Dinner and night at the Volcano lodge. 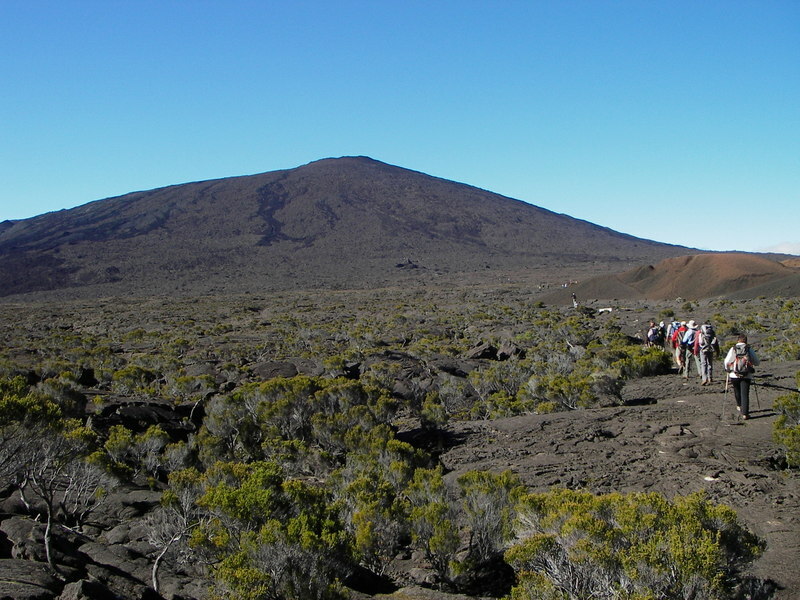 D2 – Hike in the Plaine des Sables, ascent of the Piton Chisny (major cinder cone), observation of the ancient volcanism of La Fournaise (ash deposits, scoria and volcanic bombs, lava flows).